Dusty ruby color. Inviting aromas of cranberry tart, sautéed mushrooms, fruit punch, and dried fennel seed with a velvety, vibrant, dry-yet-fruity light-to-medium body and a graceful, interesting, medium-long good n’ plenty candy, cherry mostarda, graphite, and marinated grape leaves finish with earthy tannins and light oak flavor. A balanced Pinot Noir swimming with both fruity and savory flavors. 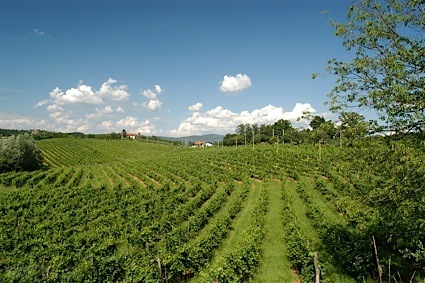 Bottom Line: A balanced Pinot Noir swimming with both fruity and savory flavors. 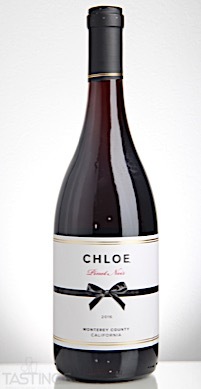 Chloe 2016 Pinot Noir, Monterey County rating was calculated by tastings.com to be 90 points out of 100 on 8/2/2018. Please note that MSRP may have changed since the date of our review.